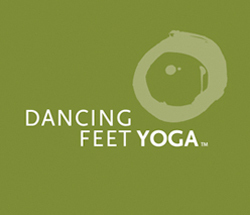 Dancing Feet Yoga Center Inc.
From Airports – Take 294 South (follow signs to Indiana) and follow directions below. From Chicago, just take 94 East. Take the Skyway and follow 80/90. Exit at 94 East. Exit at 40B, Michigan City. Take US 12 East across the Michigan state line. Dancing Feet Yoga Center is in a small complex of white buildings with The Harbor Muse on the right (South) side of the highway before New Buffalo. Take 94 West. Exit at 40B, Michigan City. Take 212 North. Take 212 North to US 12 West. Dancing Feet Yoga Center is in a small complex of white buildings with The Harbor Muse on the left (South) side of the highway before Grand Beach. Take Indiana Toll Road to the LaPorte Exit. (Hwy. 39) Exit at Highway 39 and turn right. Left at First Stop Light (Highway 20). Take 212 North to US 12 East across the Michigan state line. Take Highway 12 West (also called Red Arrow Highway). Take East US Highway 12 across the Michigan state line.